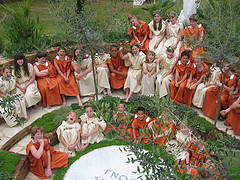 A sensory garden classroom is a garden within which are one or more outdoor classrooms. This improves the school grounds aesthetically, and provides a permanent teaching resource which greatly enhances the school curriculum in ways not possible in a conventional classroom. 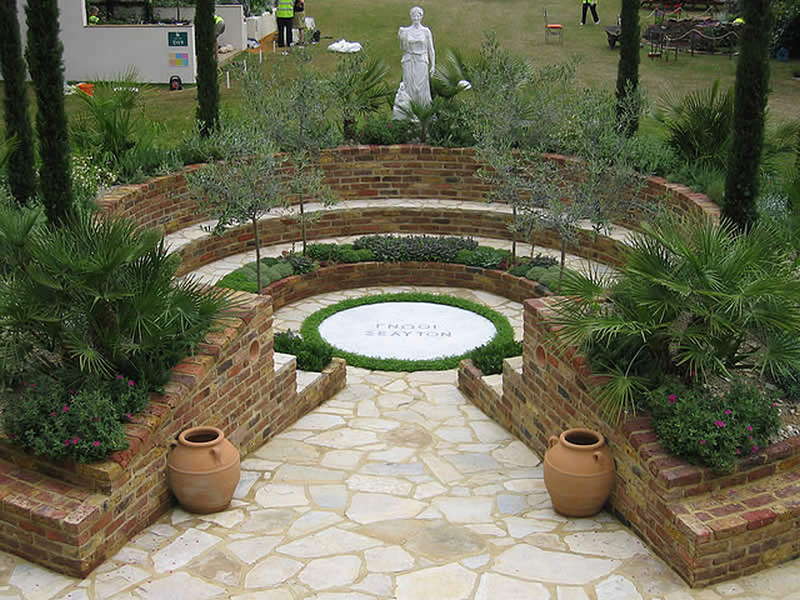 The Show sensory garden classroom takes the form of a Greek theatre built from reclaimed bricks and limestone. The theatre area is located within a bank planted with cypress trees and other Mediterranean plants that the Ancient Greeks would have recognised. Inside, the old limestone path leads down to the circular marble stage, inset with Greek letters in black marble. 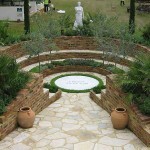 Steps lead to a ring of herbs from which rise four standard olive trees. These will provide shade for children sitting on limestone seating below. 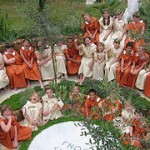 From here they can enjoy a play or listen to their teacher, under the watchful eye of the goddess Athena.